22 Commonwealth is located on the south side of Commonwealth, between Arlington and Berkeley, with 20 Commonwealth to the east and 24 Commonwealth to the west. Click here for an index to the deeds for 22 Commonwealth. 22 Commonwealth was built as the home of dry goods importer and merchant Edward Motley and his wife Ellen (Rodman) Motley. Ellen Motley purchased the land from Samuel Hooper on July 1, 1860. 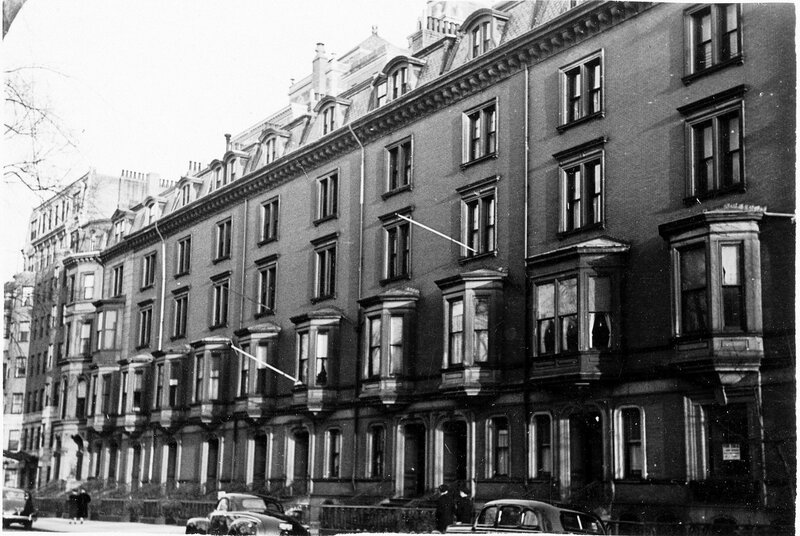 The Motleys previously had lived at 18 Boylston Place. In about 1876, their son and daughter-in-law, Thomas and Eleanor (Warren) Motley, joined them at 22 Commonwealth. They previously had lived in the Longwood district of Brookline, where they continued to maintain a home. He was a wholesale dry goods merchant. They continued to live there in 1877, but had moved to 87 Marlborough by 1878. 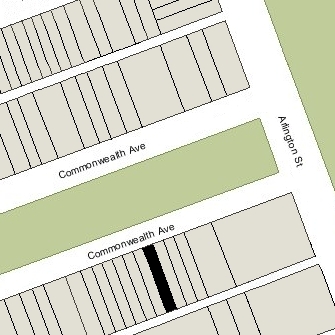 In 1877, 22 Commonwealth also was briefly the home of Roger Wolcott and his wife, Edith (Prescott) Wolcott. 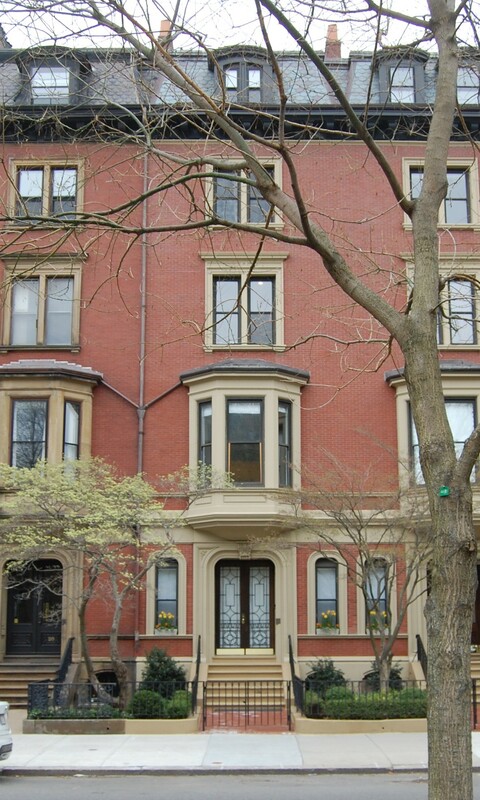 They previously had lived at 238 Beacon with his parents, Joshua Huntington Wolcott and Cornelia (Frothingham) Wolcott. They also maintained a home in Milton. Roger Wolcott was a lawyer and later would serve as Governor of Massachusetts. 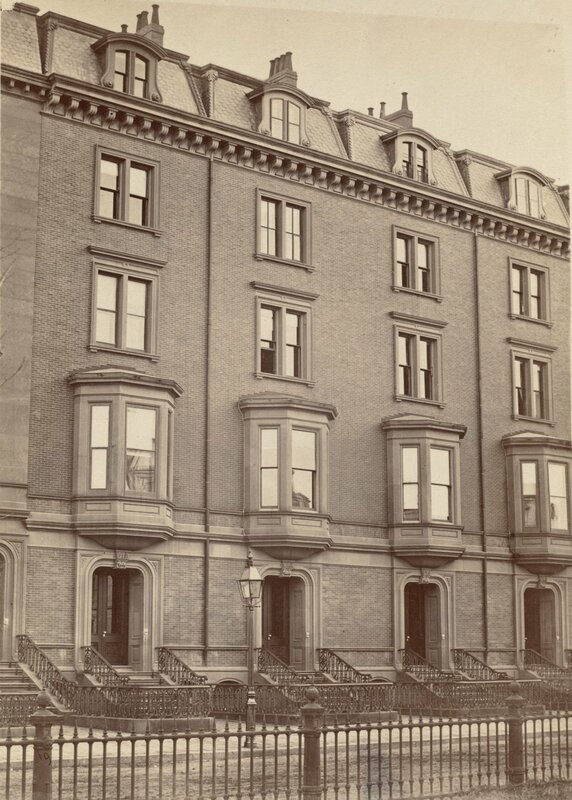 By the 1877-1878 winter season, they had moved to 59 Marlborough. Edward Motley died in January of 1894. Ellen Motley continued to live at 22 Commonwealth, re-joined in about 1895 by Thomas and Eleanor (Warren) Motley. Ellen Motley died in April of 1898. Thomas and Eleanor Motley continued to live at 22 Commonwealth. They also maintained a home, Spouting Horn, in Nahant. Thomas Motley died in December of 1909. Eleanor Motley continued to live at 22 Commonwealth with their unmarried son, Warren Motley, a lawyer. Eleanor Motley died in September of 1942. Warren Motley continued to live at 22 Commonwealth, and on July 30, 1943, he and his brother, Thomas, as the executors under their mother’s will, transferred the property into Warren Motley’s name. He continued to live there until about 1962. On September 25, 1962, 22 Commonwealth acquired from Warren Motley by Rosslyn Vallentine, who transferred it three days later to real estate dealer Edward Swartz. In January of 1963, he applied for (and subsequently received) permission to convert the property from a single-family dwelling into a lodging house. He also owned 24 and 26 Commonwealth, which already were lodging houses. Edward Swartz died in May of 1972. His estate continued to own 22-24-26 Commonwealth and operate them as lodging houses. On December 16, 1983, Mary Elizabeth Brady, trustee of the Roebuck Trust, purchased 22-24-26 Commonwealth from Edward Swartz’s estate, and on April 26, 1984, James J. Devaney of Worcester purchased the properties from Mary Elizabeth Brady. In January of 1985, he filed for (and subsequently received) permission to combine the three properties into a single property and convert them into eight apartments. As part of the remodeling, windows were added on either side of each front door at 22, 24, and 26 Commonwealth. On February 14, 1985, Patrick Ahearn, trustee of the Commonwealth Properties Realty Trust, purchased 22-24-26 Commonwealth from James Devaney. Patrick Ahearn had been James Devaney’s architect for remodeling the houses into apartments. 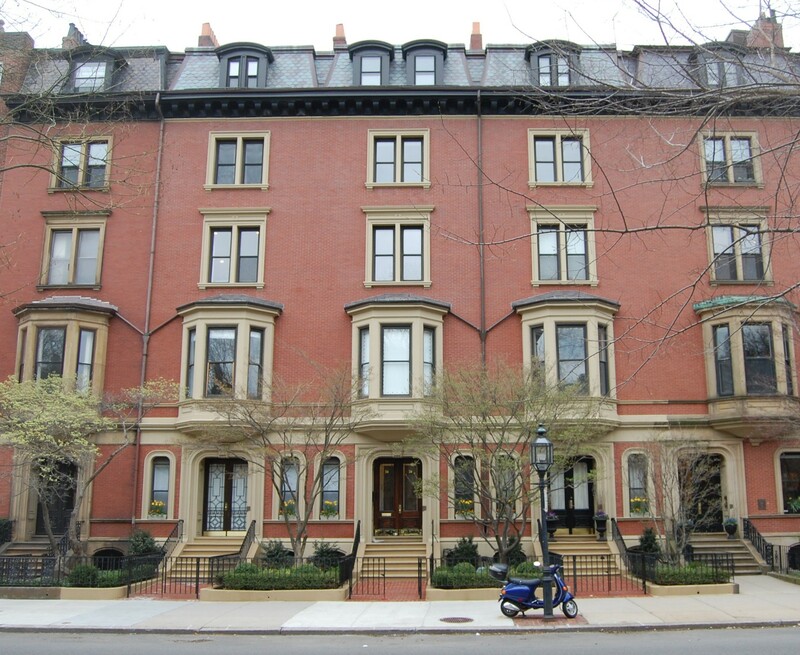 On the same day he purchased the properties, he converted them into eight condominium units, the 22-24-26 Commonwealth Avenue Condominium.